In the process of establishing friendly ties with Pakistan to gain credibility in the Islamic world, is Israel adding to Pakistan's woes? The jet arrival has also let many theories afloat in the media and amongst a highly charged and sensitive polity raising suspicions which are bereft of much reasoning. One of the stories going around is that Israel is definitely trying to court Pakistan — not only for maintaining a geopolitical balance, but also to elicit support from a diehard Muslim nation in light of changing equations between Israel and Saudi Arabia, the UAE, Oman, and Bahrain — apparently to isolate Iran. 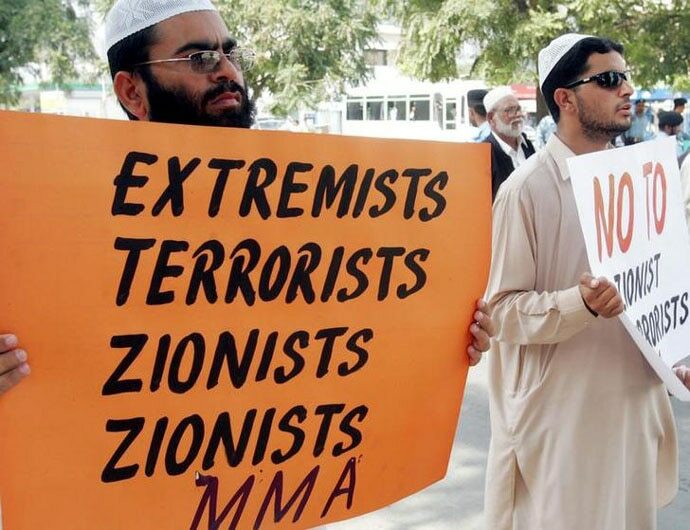 Supporters of Pakistan's Muttahida Majlis-e-Amal hold placard during anti-Israel demonstration in Islamabad (Credit: Reuters). 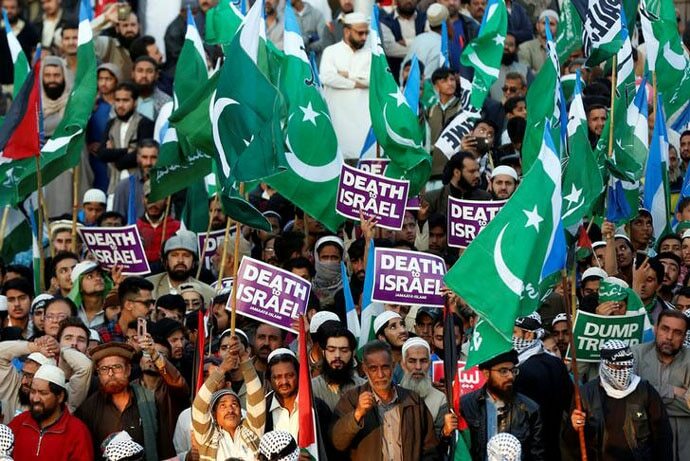 Mohsin Saleem Ullah, a student in the Islamic University at Islamabad wrote an OpEd in Pakistan’s Daily Times on whether trade between Pakistan and Israel was possible in the light of praiseworthy eco-political syncretism developed between Israel and India. Importantly, he opined that New Delhi’s tech relationship with Tel Aviv has not gone unobserved, and one country that may imitate the relationship in the future is Pakistan. Here, we are!